A month ago, I finally reached Mabuhay Miles Elite status after 8 months of shuttling back and forth Manila and Cebu to visit my husband and attend work meetings. I love the separate check-in counter (especially when there's long lines! ), priority baggage tags, and the comfort of waiting in the Philippine Airlines Mabuhay Class lounge. This is one thing that makes Philippine Airlines better at taking care of their passengers. They still take comfort and service in mind. I love Philippine Airlines except on times that they delay the flights and don't bother to inform passengers earlier. I guess being on time is what they can learn from Cebu Pacific. 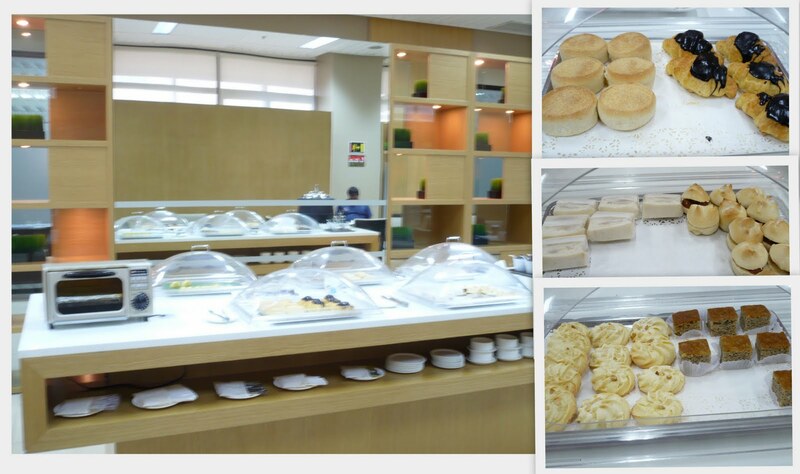 What's inside a Philippine Airlines Mabuhay Class lounge? Most Mabuhay Class lounges in Philippine airports have the same look. Dark wood furniture, beige-colored seats, black and white photos on the wall. 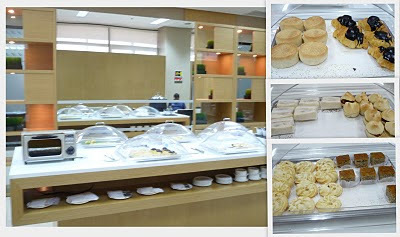 They have food and drinks available for their travellers -- soup, bread, sandwiches, pastries and fruits. They also have coffee, tea, water, softdrinks and some juices. To keep passengers entertained, they have a selection of newspapers available, magazines, TV and wifi. These little perks make Philippine Airlines stand out from the rest of the passenger carriers in the country. While other airlines are competing in the no frills category, Philippine Airlines still tries to keep their customer service intact. It depends on what's important to you --- comfort or value for money. I'm glad I finally saved enough trips to get to Mabuhay Miles Elite. I hope I can keep this up! I see that you haven't been blogging lately. I hope everything is OK :? I have myself a website called www.weekend.com.sg which aims to list all the best travel blogs in South-East Asia. Since you definitely offer a quality content, I'm convinced that your blog would interest my visitors. Would you agree to have your RSS feed integrated in my metablog? This way my users could access your blog, and you would have more readers as they would be automatically redirected to your site. I love the food. That's actually what I am after for. First time ko now narinig na may lounge ang Mabuhay Miles. Ganda. Thanks for posting it. Thanks for the Sumilon advice :) Anyway, do you still blog? Follow each other? Yup! Following you also :) looking forward to your next travel post!